If you are currently looking for a new job and you have impressed enough to bag a face-to-face interview, firstly, well done! You have passed the first hurdle, and this should give you great confidence. However, the hard work is not over, as you now need to prepare for the interview, so that you stand out from all of the other candidates. One thing you don’t want to do is stand out for all the wrong reasons. With that in mind, read on to discover the common interview mistakes you need to avoid if you want to secure the job. Unfortunately, so many people make this mistake during job interviews. A small slip of the tongue could get you in a lot of trouble. Firstly, it is a small world, especially in the business world, and you don’t know who your interviewer might know, including that boss you said was a fool! Even if your interviewer does not know who you are referring to, badmouthing anyone won’t reflect well on you. The interviewer will assume that you have that attitude towards all of the companies you have previously worked for, and they won’t want to employ someone that is going to badmouth them once they leave. No doubt, you are going to be feeling nervous during the interview. This is only natural, especially if it is a job you really want. There are good nerves and there are bad nerves. You need to use your nerves to deliver during the interview; don’t let them take over. You will never forgive yourself if you crumble and miss out on your dream job because you let nerves get the best of you. There are a number of different techniques you can use to beat anxiety at your next interview, including speaking slowly and enunciating when giving answers, as well as preparing effectively beforehand for curveball questions, as well as arriving at the interview early. 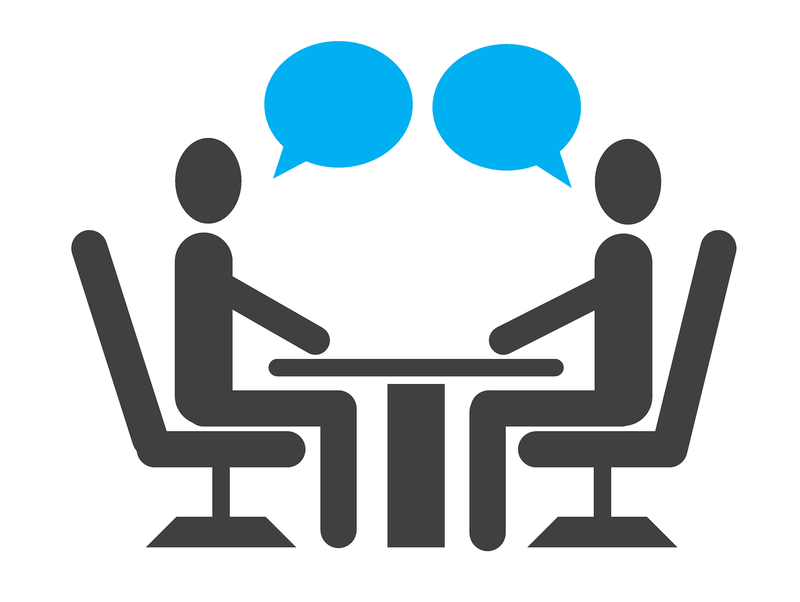 Don’t ramble on during your interview. Your answers need to be focused, to-the-point, and succinct. Basically, answer the question asked – don’t get sidetracked. The interviewer does not need to know about your dog, your children, or the last vacation you went on. Remember, this is a professional situation, not a personal one. Remember, the interview is a two-way street. It is not only an opportunity for you to sell yourself, but it is also an opportunity for you to find out about the job. It is an opportunity for you to find out more about the company culture, the people you could be working with, and how the employer operates. It is a good idea to have a list of your own questions ready. Your body language can say a lot about you, so make sure it says positive things. If you do not make eye contact with the interviewer, you may come across as too shy or simply not interested. Make sure you smile and always start the interview with a firm handshake. Don’t sit with your arms crossed either or slouch down in the chair. It is so important to prepare selection criteria responses beforehand. Firstly, you need to determine what the selection criteria are. You will be able to find this on the job vacancy advert. Once you have done this, make a list of all the criteria, and go through them one-by-one. When you are giving responses to selection criteria questions, make sure you think about how you meet each criterion and list examples of relevant personal qualities, training, incidents, experience, and skills. Being unprepared in general is one of the biggest mistakes you can make. Not only do you need to prepare with regards to the questions you could be asked, but you also need to know the logistics of getting to the interview on time. It is a good idea to have a practice run, so you don’t get lost on the big day. Aside from this, make sure you research the company in question so that you have a good understanding of what they do, as well as their culture and ethos. If there is one thing that employers hate, it is time wasting. There are going to be plenty of other people that are interested in the job position, and so they don’t want to employ someone that is not interested in working for them. Make sure you show up on time, turn off your mobile phone, and dress appropriately. Also, make sure the questions you ask are intelligent and show that you have done some research. If you ask a question that could have been answered with a 30-second Google search, the interviewer is not going to be impressed. This may seem like an obvious mistake that you should never make. However, you will be surprised by just how many people lie during job interviews. Although it may be tempting and you may feel that it will help you to secure the job, it will never work. You may bag the job, but you will quickly get found out once you start working for the firm. If you tell the truth, you will never have to remember anything or stick to any fabricated stories. Of course, it is wise to gloss over the unflattering things and focus on what sells you best, but don’t tell any out-right lies. Lastly, while it is important to prepare for your interview, your answers should not sound like they have come from a script. Moreover, while preparing, it is important to create your own answers to questions that are unique to you. Don’t simply copy standardized answers that you have seen on the Internet – the employer will have heard them a thousand times before. For example, if an interviewer asks you what your biggest weakness is, don’t answer that you try too hard or that you are a perfectionist. You need to be a bit more original than this (as well as honest) – those answers don’t give the employer anything.